This update contains 107.625 changes until the 1st of October 2018 that happened after the 18.3 database lockdown. Inside the pack you will find also the instructions text on how to install correctly the files in your game. 1. Added new people who doesn't exist in the database - chairmen/players/managers/staff. 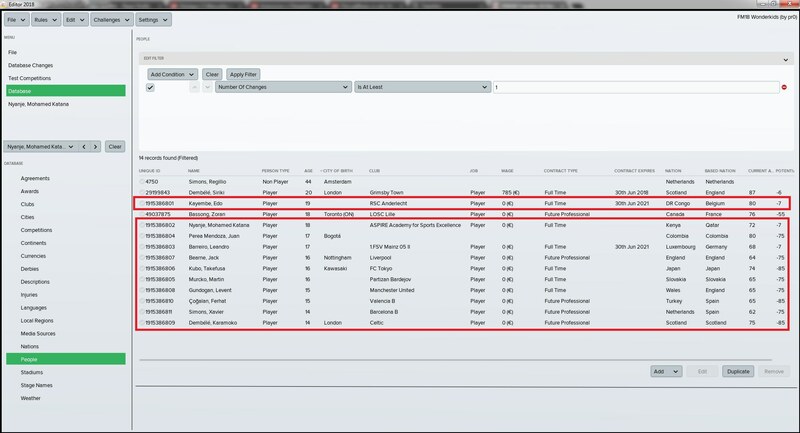 Extract the files to : C:\Users\user\Documents\Sports Interactive\Football Manager 2018\editor data. If editor data folder is not there, create one with this name only. Other names will not recognize the files inside the game. Make a new "Career" game. Choose the "18.3.0 Update" database option and select my files. You are ready to create an updated new game. Q: Can we play this update without the CA/PA changes ? A: Yes , the CA/PA file will be a new file beside the others. If you dont want this file, simply don't choose it when you start a new game. Great job man, keep up with your'e amazing work. 2017-12-02 13:14#247677 MMLemkow : Wich wonderkids are included? Can you please add Youssoufa Moukoko from BVB and Mason Greenwood from Manchester United? thay have some massive potential. 1st post has been updated with download link. 7.512 database changes based on the 18.3 official patch. ♦ FMTU, which stands for the online database, in which you can update the database by yourselves and see the changes applied in your games. ♦ updatesbypr0, a special dedicated to my files forum, with details for each of my files. Also it's the place to propose new updates, missings or discuss included changes so far. Next release is scheduled for the 1st of May. 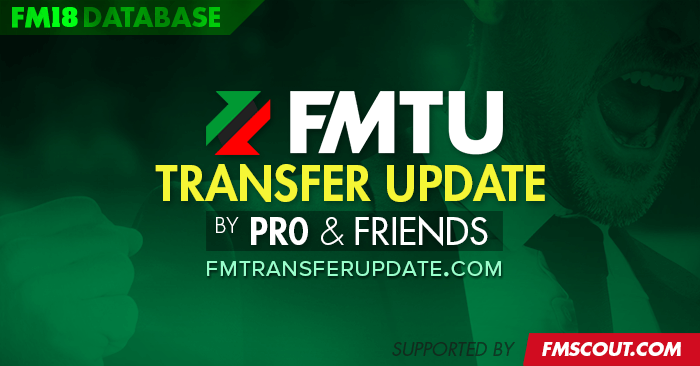 You are reading "[FM18] Transfers & Data Update Packs by pr0 & FMTU".